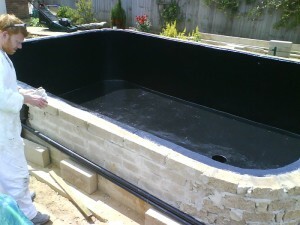 Koi enthusiasts / commercial fish stockists / traditional fish keepers. 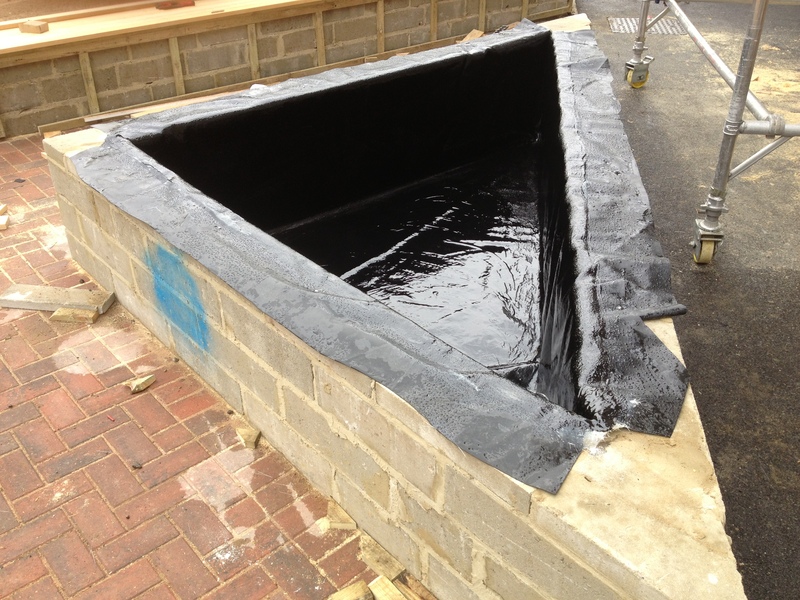 Our process involves applying two, layers of CSM (Chopped strand mat) impregnated with polyester resin to your pre-dug hole. 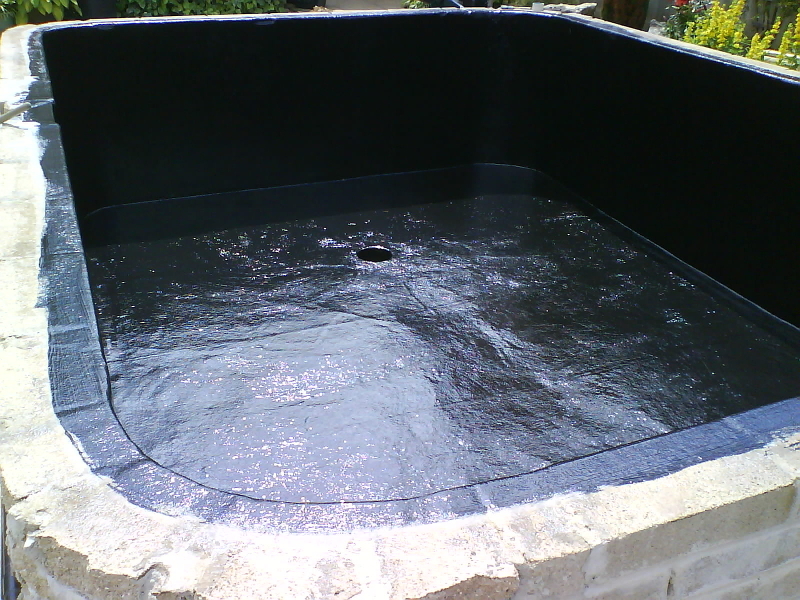 (Ideally this is lined with cement). The whole surface is consolidated and rolled smooth. 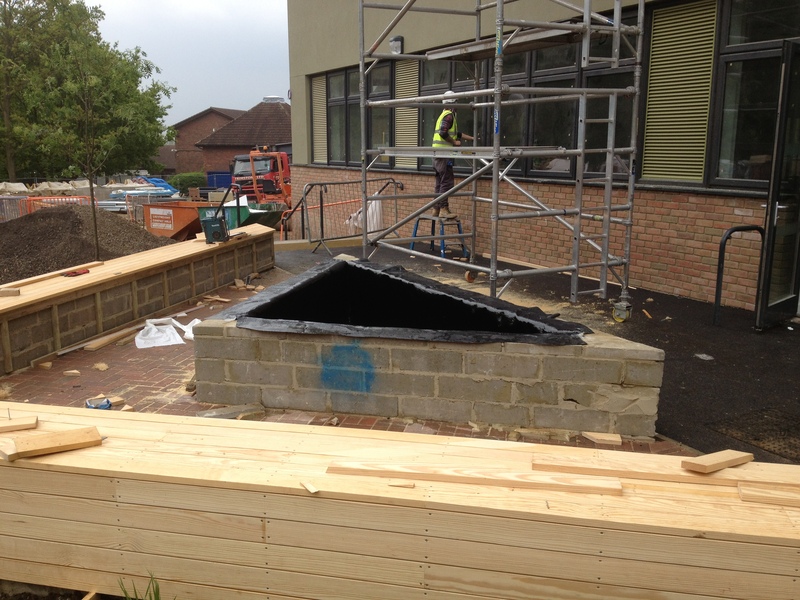 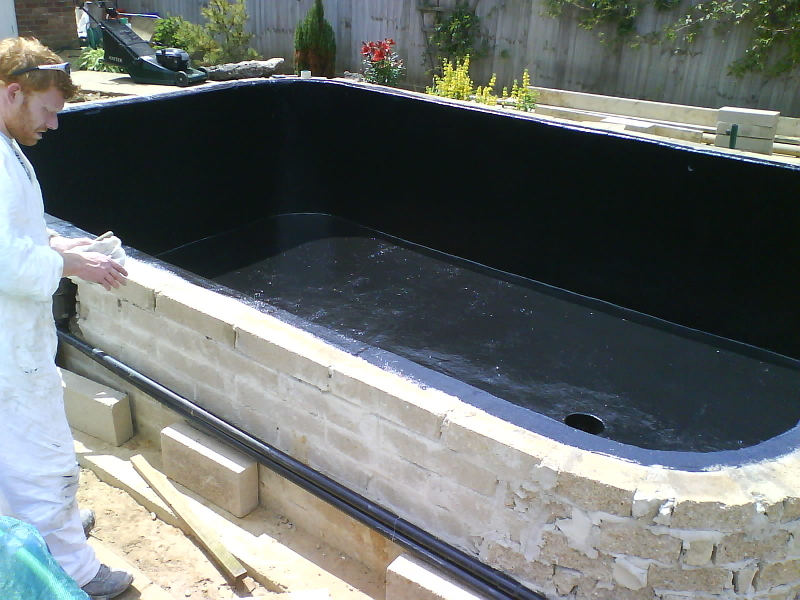 One hardened, the pond lining is lightly abraded and a top coat (‘flow coat’) is applied, in a colour of your choice. Pipes / filter boxes / water features all accomodated. Water tight within 48 hours.